There have been many fads in the world of gaming, certain tropes and choices that developers have relied on to move cartridges and discs. One of the easiest ones to look at is common enemy types. In the early days of gaming we had things like Galaga and Space Invaders. Games that encouraged us to look to the skies for a new species and then blow said species seven ways from Saturn. 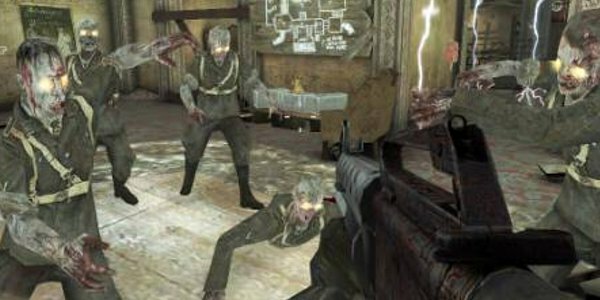 After aliens we went through Robots into Soldiers and then two enemies kept rearing their heads like a Whack-a-mole game on overdrive; I speak of course about Zombies and Nazi’s. The push for Nazi’s saw them appearing in a hundred different RTS’s and FPS’s on every console and home computer going. The simple truth is that there are a very few people in the world that would feel bad for attacking them, virtually or in reality they have been, rightly so, painted with the brush that makes them almost universally hated. It’s a clever move by the games industry, have someone that people won’t hold back on in terms of violence and potentially have a game with an emotional back story, if told properly. The curious thing is however that very few games actually put forward Hitler as the big bad of their games, his inclusion could be seen as crass or ethically questionable, more often than not you have a big end of game battle with your back against a wall and many enemies, like in Brothers in Arms or the early Call of Duty series. The games that have put him forward are few and far between, whether this should be questioned or celebrated is up to each individual gamer. 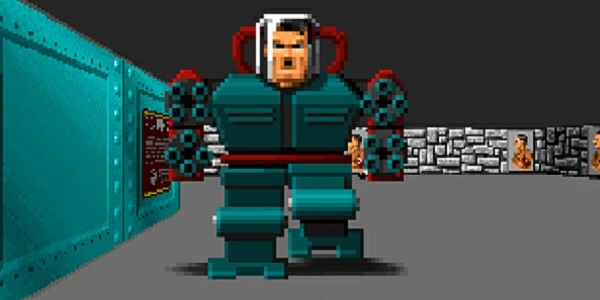 Wolfenstein 3D was released in the early 90?s and whilst not the first FPS it was the one that got a generation of gamers into the hobby and got the ball rolling on future series like Doom and Quake. 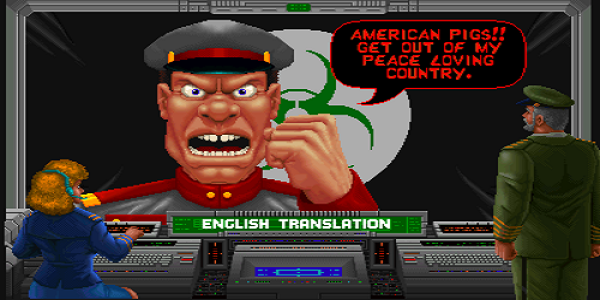 For this early adopter of Run and Gun style gaming the enemy they decided to go with was obviously Nazis. You play as B.J. Blazkowicz an allied soldier who is captured and imprisoned, after knocking out the rent-a-cop outside and stealing his gun you go on your merry way to take out any of the goose steppers you find. 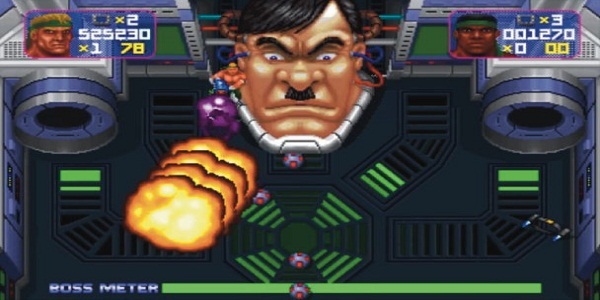 In the penultimate episode “Die, Fuhrer, Die” the final boss you take on is none other than Hitler, but not the pixelated Hitler you’d imagine, this Hitler is half machine. Presumably by the hand of a mad scientist that cackles whenever there’s a lightning storm outside, Hitler is now rocking some robot legs and four mounted chainguns. Not only does this make you hate Hitler even more due to the difficulty of the situation, you also become oddly jealous of his battle suit, much like the first time you saw a Big Daddy. Smash TV was released in 1990 and featured some of the most insane twin-stick shooter action you ever have and ever will experience. This game just produced chaos and thrived on it, a top down shooter that had 30 enemies upwards on screen at once. Its follow up Total Carnage used the same engine and premise, bullet hell chaotic top down shooter. If you play on the iPad or Mame getting to the final boss is just a case of waiting the game out with its infinite credits, if you were in an arcade however it would have cost you a hundred pounds to complete. Death comes often in this game and it almost feels like it’s proud. You play as a soldier dropped in to a country to kill their dictator Akhboob. When you finally get to him, and I mean finally, this game is a pain, you discover his giant head has been melded with a robotic body. Once you kill him his head retreats behind a wall only to reappear as Hitler, once you kill Hitler’s head Red Skull appears and then thankfully the game is over. The heads produce nuclear bombs and a small war’s worth of bullets. The Hitler head isn’t explicitly referenced and as such your left reeling from it. The difficulty of the game made me feel like this was almost like an early easter egg few gamers would see, and in joke from the developers. Personally for me what it comes down to is full disclosure. On one hand Hitler wasn’t a soldier or a super human, he was a leader, to try and have a shoot out with him would be historically inaccurate and in poor taste, at the same time however, the man did exist, pretending he didn’t in your game or just being flippant with his portrayal isn’t helping either. Having him as a big boss would put the game down a surreal path, much like Tarrantino’s Inglorious Basterds. Dealing with tough issues is something many games have tried, and some succeed wonderfully, but despite it being a couple of generations ago now the concept and image of Hitler still puts people on the back foot. The examples I’ve given are flippant, as are games like Dino D-day and Sniper Eliter V.2 with it’s “Shoot Hitler” DLC. I doubt we’ll ever get to a time when it’s generally acceptable. Despite film and TV shows getting away with jokes and references about him for decades the gaming world isn’t ready for such an brazen game antagonist selection.